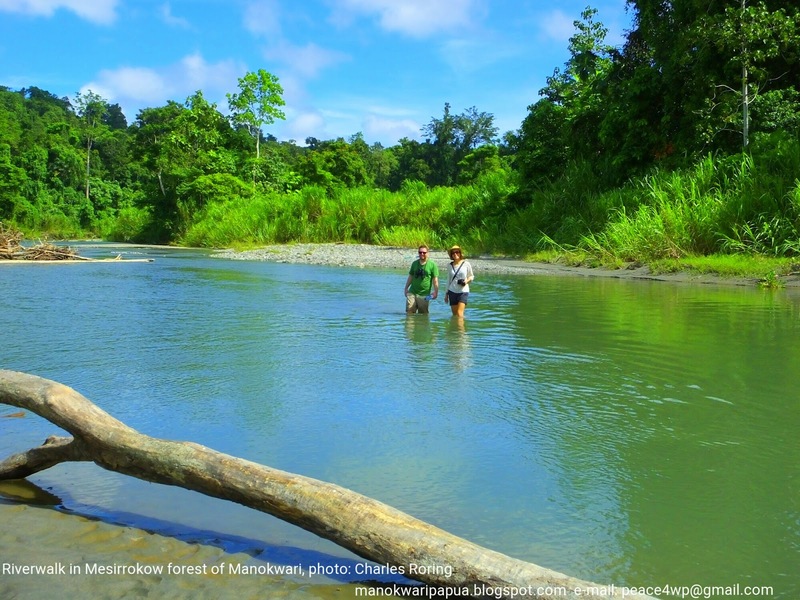 I have just opened a new rainforest tour destination in Manokwari this year. It is located in the north-west region of Manokwari. Its name is Mesirrokow river forest. The forest is the natural habitat of various species of birds such as Sulphur Crested Cockatoo (Cacatua galerita), Palm Cockatoo, Papuan Hornbill, Willie Wagtail, Little-ringed Plover, Variable Goshawk, Pink-spotted Fruit Dove, Lowland Peltop, and Brahminy Kite. There are also other animals such as soa-soa lizard, wild pigs, and deers. 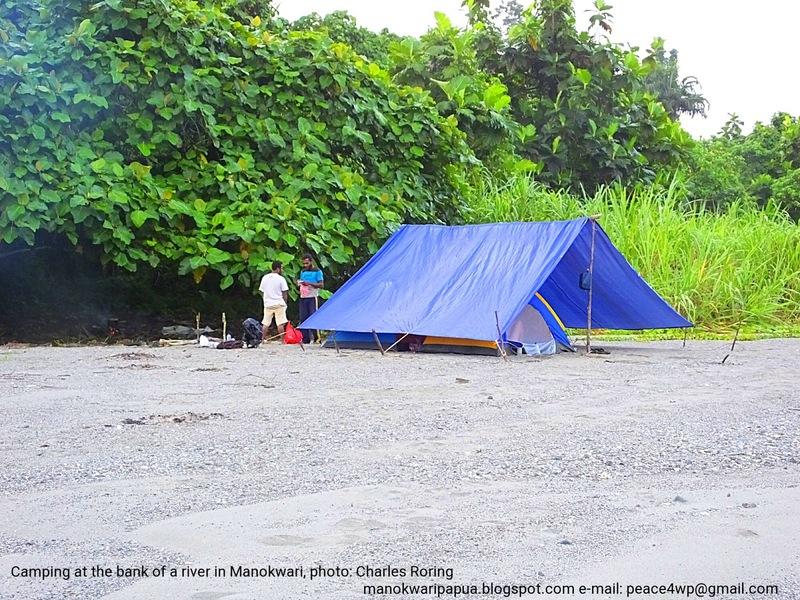 Visitors can enjoy swimming, fishing, sunbathing and camping at the bank of the river. As a tour guide, I have organized several riverwalk and camping tours in the Mesirrokow forest for visitors who come from The United Kingdom, Switzerland, France and etc. They enjoyed their trips because they could swim in the river as much as they like and watch birds in the surrounding forest. This fores is suitable for nature lover who want to experience jungle tour in Manokwari. Most of the activities will be carried out along the Mesirrokow river-forest. Tents will be installed at the bank of the river. Because of the open space in the river is very wide, we could easily watch birds that fly or sit on the branches of the trees in both sides of the river. 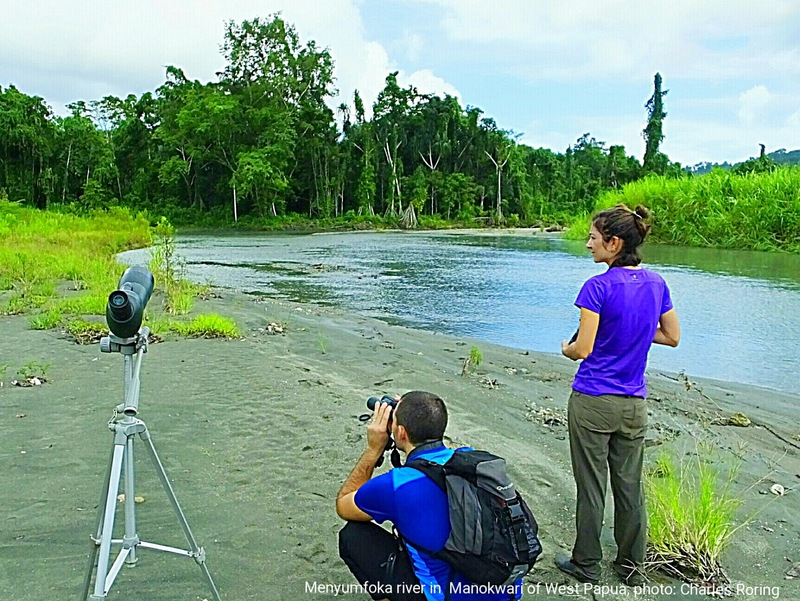 To enhance birding experience, a spotting scope with tripod and a good pair of binoculars will be provided. Birds such as Sulphur Crested Cockatoo, and Papuan Hornbill can easily be seen in the mornings and in the afternoons. For watching Willie Wagtail, we need to walk along the river and have a look at fallen trees that are drifted during the floods and stuck in the middle of the river. The birds like to sit on the log or branches of he desd trees that extend over the river. Little-ringed Plover like to walk along the sandbank. A good pair of 10x42 mm binoculars is a perfect device for birding in this area. Visitors are recommended to bring flashlight/ torch, insect repellent lotion and sunblock lotion, a good pair of binoculars, and clothings that are suitable for jungle tour and swimming. For camping in the jungle, we will provide tents as well as cooking and eating utensils.